​Featured Speakers Include. . .
Jonathan Catherman has worked in private and public education for 23 years. As a sociologist and educator, Jonathan is dedicated to understanding what mindsets, skillsets, and toolsets best influences the character and leadership development of today's emerging generation. An international bestselling author, award-winning cultural strategist, and education consultant Jonathan speaks worldwide to diverse audiences of all ages. His contagious energy and passionate speaking style engages and inspires while his clear vision and practical instruction clarifies what leadership principles and structural relations empower greatness in people and organizations. For his success in the development and delivery of youth mentoring resources and programming Jonathan was awarded the 2016 President's Volunteer Service Award and Martin Luther King Drum Major for Service Award. Jonathan and his bride Erica have been married for 20 years. Together with and their two sons the family enjoys the warmth and hospitality of North Carolina where they call a small community near Charlotte home. Don Wettrick is an Innovation Specialist at Noblesville High School, just outside Indianapolis, IN. He is the author of “Pure Genius: Building a Culture of Innovation and Taking 20% Time to the Next Level”. Wettrick has worked as a middle school and high school teacher; educational and innovation consultant; and educational speaker. Don is passionate about helping students find their educational opportunities and providing them with the digital tools they need to give them a competitive edge.Don has lectured across the US and Europe about collaboration, social media use, and work environments that enable innovation. He also hosts an internet radio program, InnovatED, for the BAM! Radio Network. Most importantly, Don works with educators and students to bring innovation and collaborative skills into education.Don lives in Indianapolis, IN with his wife, Alicia, and three children: Ava, Anna, and Grant. You can find him on Twitter @donwettrick where he tweets updates on his student’s innovation work. ​Kim Thomas is an inspiring speaker!! Kim's heartfelt and humorous stories of her 10 x 2 + 5 years of teaching experience multiply her audiences’ passion for education!! Kim was named the 2016 Illinois Teacher of the Year. She believes that mathematics is the road to educational salvation. Her trust in the transformative power of education permeates everything she does in her classroom. Her mathliciousness sweeps up every child.Kim earned her bachelor’s in elementary education from Illinois State University and a master’s in education and teacher leadership from Saint Xavier University. Kim has dedicated her 25-year teaching career to middle school students in Peoria Public Schools. Kim teaches at the Peoria County alternative school for those who have been expelled and a contemporary learning program for those who are administratively placed. Kim’s tenacity and passionate flair for teaching helps these challenging students reach new heights socially, emotionally, and academically. Kim is on the committee for the Illinois State Board of Education Partnership for Educator Preparation. She has been inducted into the 2016 Illinois State University College of Education Hall of Fame. Kim has received the 2015 Outstanding Teacher of the Year for Peoria Public Schools, the 2008 Friend of Special Education, and the 2001 Creative Teacher of the Year award. She joins just two percent of the nation’s teachers as a multiple-year honoree named in Who’s Who Among America’s Teachers. 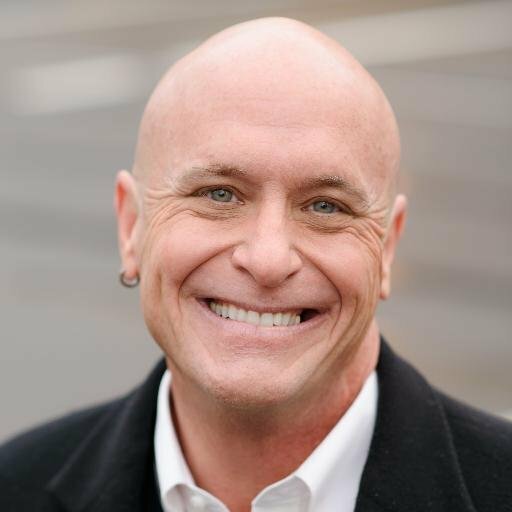 An award-winning teacher, engaging presenter, and best-selling author, Tony Frontier works with teachers and school leaders nationally and internationally to help them prioritize efforts to improve student engagement and student learning. With expertise in student engagement, formative assessment, effective instruction, and strategic planning, Frontier emphasizes a systems approach to build capacity to empower teachers to improve each student's schooling experience. Frontier is coauthor of the ASCD books Five Levers to Improve Learning: How to Prioritize for Powerful Results in Your School (ASCD, 2014) with James Rickabaugh and Effective Supervision: Supporting the Art and Science of Teaching (ASCD, 2011) with Robert Marzano and David Livingston. Frontier is a frequent contributor to Educational Leadership and facilitates workshops on school improvement, student engagement, curriculum design, formative assessment, and standards-based instructional practices at international conferences and in schools and districts around the country. Frontier has been recognized by Marquette University as the Outstanding Young Alumnus for the School of Education, was the recipient of the Jack Keane Outstanding Young Educator Award for the State of Wisconsin, was selected as an ASCD Emerging Leader, and is a past member of the ASCD Leadership Council and a past president of Wisconsin ASCD. Eric is a Senior Fellow and Thought Leader on Digital Leadership and Learning with the International Center for Leadership in Education (ICLE). Prior to this he was the award-winning Principal at New Milford High School. Under his leadership his school became a globally recognized model for innovative practices. Eric oversaw the successful implementation of several sustainable change initiatives that radically transformed the learning culture at his school while increasing achievement. He has also contributed on education for the Huffington Post, sits on the advisory board for many innovative companies, and was named to the NSBA "20 to Watch" list in 2010 for technology leadership. TIME Magazine also identified Eric as having one of the 140 Best Twitter Feeds in 2014. He now presents and speaks nationally to assist other school leaders embrace and effectively utilize technology. His blog, A Principal's Reflections, was selected as Best School Administrator Blog in 2013 and 2011 by Edublogs. It was also recognized with an Editor’s Choice Content Award in 2014 by Smartbrief Education. Cris Tovani taught elementary school for ten years before becoming a high school reading specialist and English teacher. A nationally known consultant, she chooses to continue teaching high school students full-time. She has also worked for many years as a staff developer for the Denver-based Public Education and Business Coalition (PEBC), the consortium that has received national acclaim for its work in reading comprehension reform. In addition to teaching and consulting, she has served as an adjunct instructor for the University of Denver and the University of Colorado at Denver. Cris has authored the books; “I Read It, but I Don’t Get It” (Stenhouse 2000), “Do I Really Have to Teach Reading?” (Stenhouse 2004), and the videotape sets; “Thoughtful Reading” (Stenhouse 2003) and “Comprehending Content” (Stenhouse 2004). Cris is now working on a new project with Samantha Bennett called Literacy Labs. Literacy Labs is a classroom-based PD focused on adolescent engagement in reading, writing, and talk. Will Bowen’s life has been a quest to understand living. Why, for example, if we all have free will, ambitions, dreams and desires do some of us enjoy health, happiness and prosperity while others struggle their whole lives? Will was born into a family rich with material possessions but desperately poor in love and acceptance. On the outside, things looked good. Inside, however, the family was a swirling vortex of pain, criticism and anger. Will was deeply unhappy and turned to overeating as a coping strategy leaving him morbidly obese as a teenager. At 19, Will set about changing himself and lost over 100 pounds. Graduating college, he went on to an award winning career as a top salesman in media and insurance sales before becoming a Unity Minister in 2003. In July 2006 Will was teaching a class on prosperity and offered a simple idea of using a purple bracelet for people to monitor their success at breaking the habit of complaining. His idea exploded around the world and more than 11 million purple Complaint Free bracelets have been distributed to people in more than 106 countries. Will’s been featured on Oprah, NBC’s The Today Show, CBS Sunday Morning, The ABC World News Tonight, Fox & Friends, and in hundreds of TV and radio interviews around the world. Stories about him and the movement he created have been written about in over 200 newspapers as well as People, O magazine, Self and Chicken Soup for the Soul. Today, Will speaks to audiences around the world helping them understand and stop complaining.